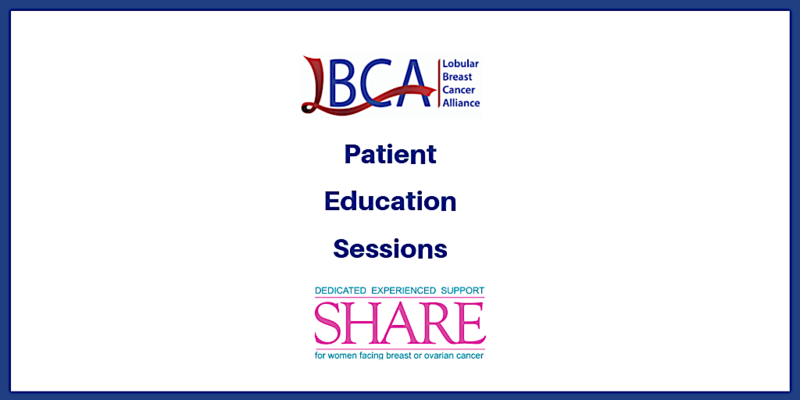 The Lobular Breast Cancer Alliance and SHARE cancer support are offering an educational presentation focused on ILC. Dr. Otto Metzger , oncologist at Dana Farber Cancer Institute will discuss treatment for lobular breast cancer in an hour-long webinar. Dr. Metzger will also talk about his research which seeks to identify predictive biomarkers of sensitivity to specific agents and mechanisms of resistance to endocrine therapy. Dr. Metzger will be joined by patient advocate Lori Petitti of the Lobular Breast Cancer Alliance. Register today. Leigh Pate and Elizabeth Viggiano of the Lobular Breast Cancer Alliance will lead a discussion about the unique aspects of lobular breast cancer. Join these two seasoned advocates to discuss your concerns and questions about lobular breast cancer. We will post the registration link for the August roundtable discussion this summer.